← Fever x 6 days, multiply by 3. So, my husband was finally able to get back to the Christmas shopping now that all the kids are back in school and not sick anymore. After multiple texts back and forth about what stuffies to get the kids, being unable to locate the one we know they all wanted at the Disney store, my brilliant receptionist spent all of 10 seconds on Google and located what we needed at the Showcase store. 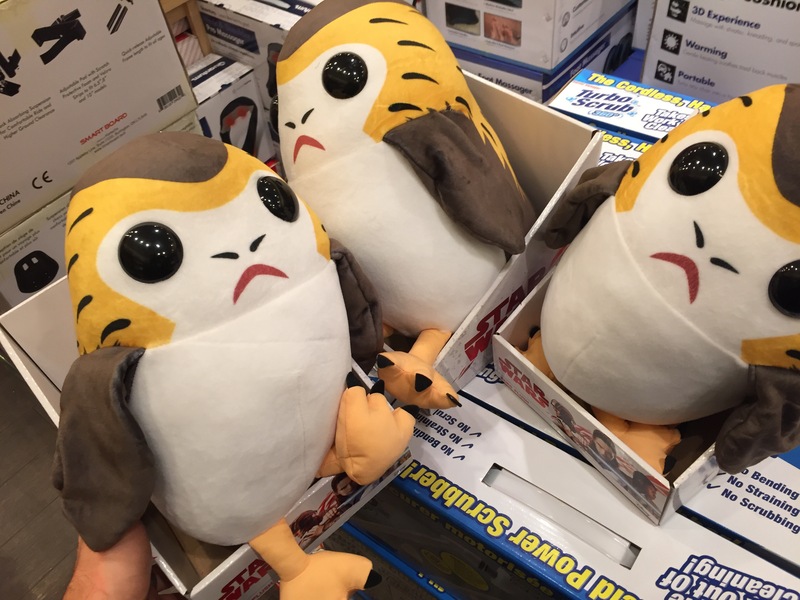 Ladies and gentlemen … we have PORGS!!!! My crew is going to be so excited to open these guys!